Testimonials are curated by Kingsway Garage and are not independently reviewed or verified. 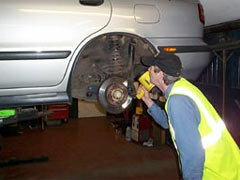 "This is somewhere where you can go as a new customer, tell them what is wrong with your car and nothing is a problem. The owner GREG will arrange with you a convenient time for you to get your car fixed at very reasonable prices. You will not be disappointed"